One civilian male was named as killed in an airstrike on al Jarthi al Gharbi. Sources were conflicted as to who was to blame, some attributing blame to the US-led Coalition, and others to Moscow. The Smart New Network blamed unidentified warplanes, as did Euphrates Post which also named Hamad al Ghathwan as a victim. The Syrian Observatory provided some context, reporting that it had “observed fierce fighting between Syria’s democratic forces supported by the International Alliance and Russian aircraft on the one hand, and the organisation of the Islamic State. On the other hand, the forces of Operation Al-Jazeera Storm succeeded in gaining control of a village on the eastern bank of the Euphrates River. Violent clashes were continuing on the outskirts of the town of al Jarthi al Gharbi and in the towns of Abu Hammam and Al-Kashkiya”. The Russian Ministry of Defence announced being active in unspecified parts of Syria until December 11th, 2017. The Euphrates Post reported “The martyrdom of Ali Hamoud al-Tarihah and the wounding of Saleh al-Badri as a result of air raids by the international coalition that targeted his home in the area of Al Diyaf in the town of Abu Hamam”. The Syrian Network for Human Rights also blamed the Coalition for the victim’s death, as did Asharqi News Network. 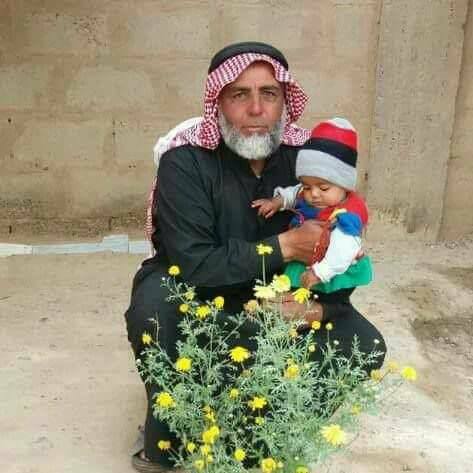 Euphrates Post reported the death of “Haj Hamad Taha al-Salem from the town of Suwaydan Jazira, who was killed as a result of air strikes targeting the perimeter of Al-Huda mosque (also known as al-Sayyid mosque)”. The victim was also named by Asharq al Arabi. According to Al Araby al Jadid, “a civilian was killed and another was wounded as a result of aerial bombardment by the International Alliance on the village of Suweidan Jazira”. Euphrates Post also reported that for the fifth day there had been “violent clashes” between the SDF and ISIS. It added that the Coalition had been carrying out airstrikes. Dec. 9, 2017, near Suwaidin Jazeera, Syria, via Airwars report. After a review of available information and strike video it was assessed that there is insufficient evidence to find civilians were harmed in this strike. However, Al Haal and Qasioun said that SDF artillery strikes wounded a number of civilians. Airwars understands that the SDF does not have access to artillery, therefore this appears likely to be a Coalition action, whether the result of air or artillery action. Up to 24 civilians died in an airstrike on Al Jarthi town, local media reported – though it was unclear whether the Coalition, Russia or the Syrian regime were responsible. The majority of sources, however, attributed the event to Moscow. Al Jisr TV, citing local sources, reported that “[Russian] fighters targeted with rockets a residential complex, and then returned to target a car that tried to aid the wounded”. The Syrian Network for Human Rights was alone in blaming the Coalition, putting the number killed at “at least 7 civilians, including 2 children and a woman”. According to the Euphrates Post, “there were more than 15 martyrs and a number of wounded as a result of military aircraft targeting the town of al-Jarthi al-Sharqi [al Jarthi East]. A van carrying civilians in Al Jarthi al Gharbi [al Jarthi West] was struck last night [Dec 5th]. Most of the victims are from the town of al-Duyer, including the family of Ali al-Shakil al-Hamad. The father, son and grandfather died, in addition to three people from al Jarthi itself. Step News Agency blamed Russia, initially putting the death toll at 14. It later said that the number killed had risen to 23, of which 13 were from one family. It added that “dozens more” were injured. The Syrian Observatory also pointed towards Russia, initially reporting that 14 people died including six children and women, with 10 more wounded, “during Russia’s support of operations by the SDF east of the Euphrates River”. A further report by the Observatory said that the death toll had risen to 24, of which 10 were children and four were women. The Smart News Agency also said that the strikes were “likely” Russian. Qasioun appeared to blame the regime, putting the death toll at 20 with another 30 wounded. 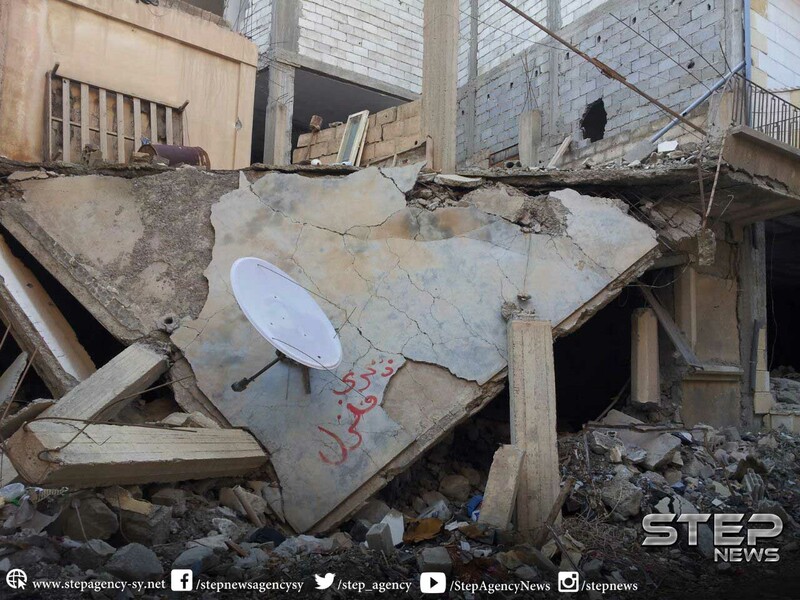 Up to three civilians died in an alleged Coalition airstrike on Abu Hamam and al Kashkiya, local media reported. According to the Syrian Observatory for Human Rights, “International Coalition’s warplanes targeted areas in the towns of Abu Hamam and Al-Kashkia, killing three citizens including two women, and injuring others”. One woman was specifically reported killed by the Coalition in Abu Hamam by the Shaam News Network, Step News and others. 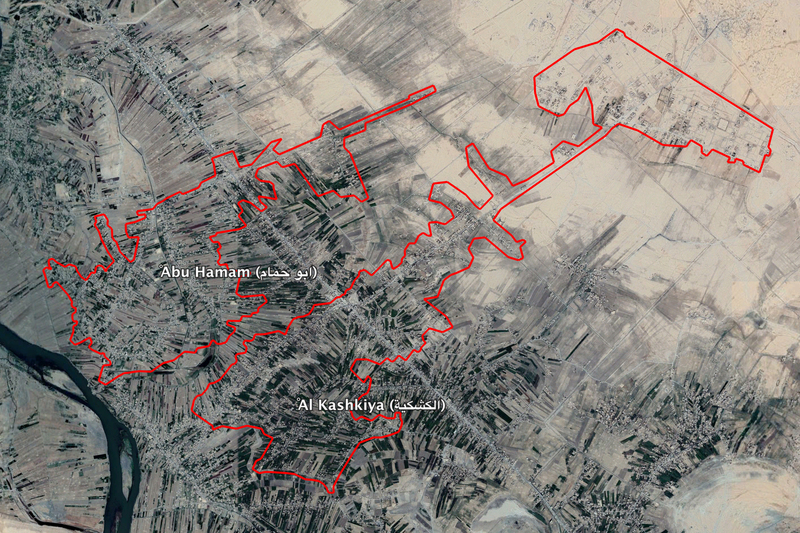 Other sources reported Coalition airstrikes on al Kashkiya that day in support of SDF ground actions. And there were broader references to three civilians killed in the two towns. 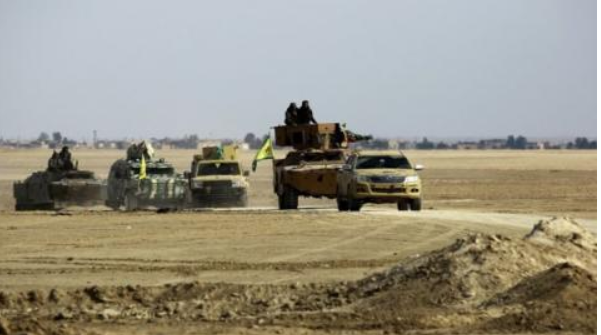 According to Al Sharq al Souri, “Three members of the [Islamic] state organization were killed in a coalition air raid targeting a car for the organization in the town of Al-Kashkiya east of Deir Al-Zour”. Al Haal put the number of ISIS fighters killed at six with nine others wounded, while other sources also reported violent clashes in the area. The neighbouring villages of Abu Hamam (ابو حمام) and Al Kashkiya (الكشكية). 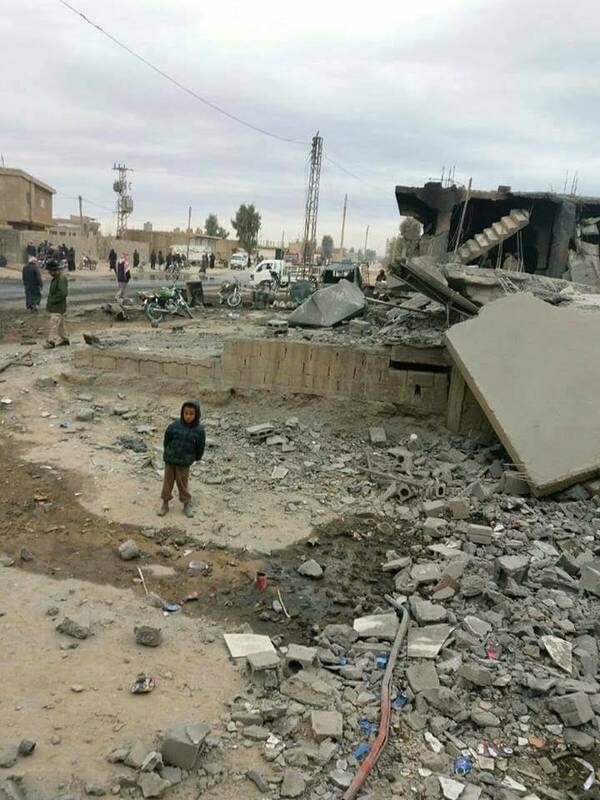 One child died in an alleged Coalition airstrike according to local media. The Syrian Network for Human Rights reported: a child died on December 3rd, due to wounds sustained from International Coalition warplanes which fired missiles on Darnaj village in Deir Ez-Zour governorate eastern suburbs on December 1, 2017. The Syrian Observatory for Human Rights made no mention of civilian casualties but confirmed that the SDF had gained control of Daranj. However, two other sources (Marsad Al Sharqiya and Obaidahalabdull) reported that the victim died in the town of Granij. Other sources reported that the SDF had taken control of Daranj. The incident was first reported on December 1, 2017 at 2:00 pm by . 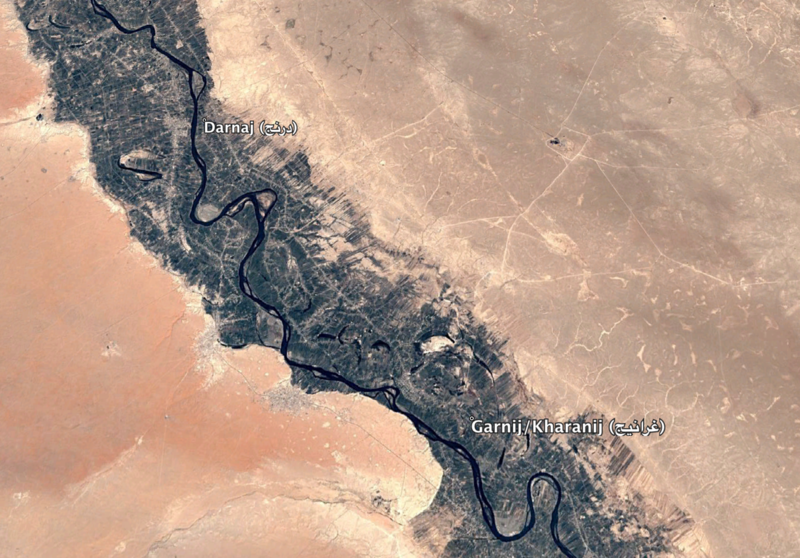 In its July 26th, 2018 civilian casualty statement, the Coalition self-reported an incident of civilian harm on the banks of the Euphrates river, near the crossing between the villages of Al Burham ( البرهوم ) and Abu Hasan ( أبو حسن ). 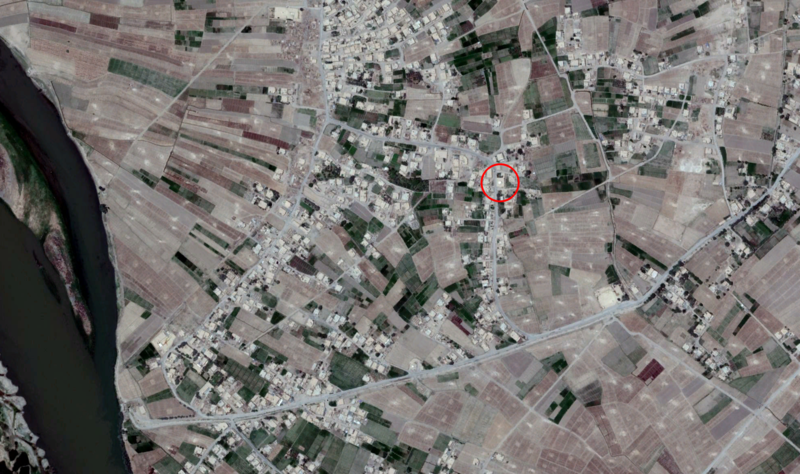 The Coalition supplied Airwars with coordinates for the incident (accurate to 100 m) 37SFU726363. 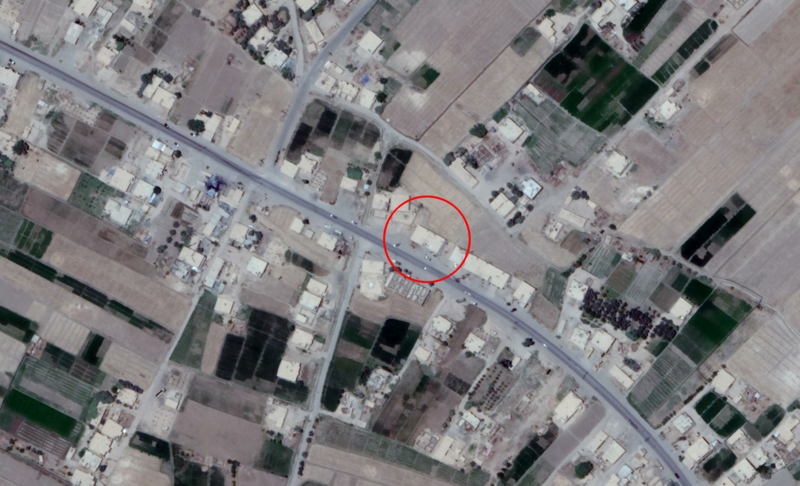 During a strike on Daesh position used to conceal weapons, one civilian was unintentionally killed. Near Abu Kamal, 12 strikes [1 or more British] engaged 13 ISIS tactical units and destroyed four ISIS vehicles, a tactical vehicle, an ISIS fighting position, an indirect fire weapon and a heavy weapon.